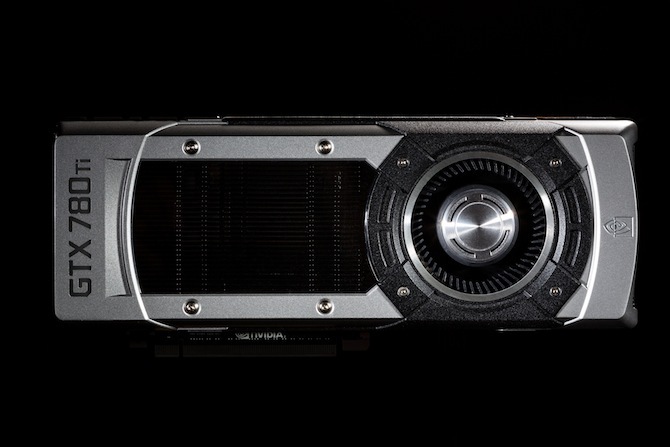 The NVIDIA GeForce GTX 750 Ti is a mid-range desktop graphics card that was announced early 2014. It is based on the first generation of the Maxwell architecture, namely the GM107 chip. Maxwell sets its focus on energy efficiency and was able to outperform the predecessor Kepler and AMD chips in similar performance regions. The GTX 750 Ti supports DirectX 11.2 but only feature level 11_0. The GeForce GTX 750 Ti is comparable to the Nvidia Geforce GTX 860M for laptops that features the same chip with slightly slower clock rates and therefore also performance. The 3D performance lies between the Radeon R7 260X and R7 265X from AMD or between the GTX 750 and GTX 660 from Nvidia. In our tests, the 750 Ti was not able to achieve playable framerates in demanding games and highest settings in 1920x1080 (see benchmarks below). The power consumption as already mentioned is a strong suite for the GTX 750 Ti and it excels the e.g. slightly slower Radeon R7 260X by a great margin (gaming).